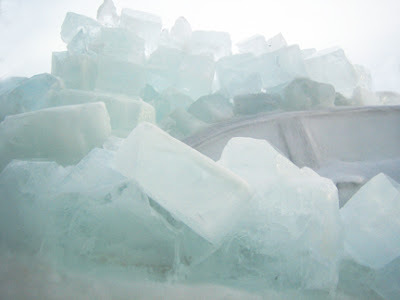 The ice has an almost phosphorescent quality in the daylight. 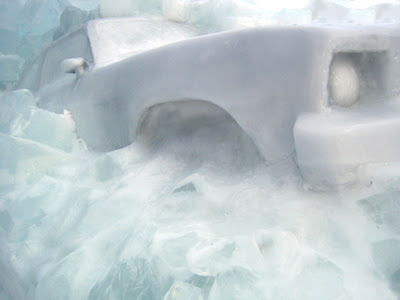 We like how the ice looks as though it is spilling out of the wheel well. Interesting pictures. Thanks for the share.